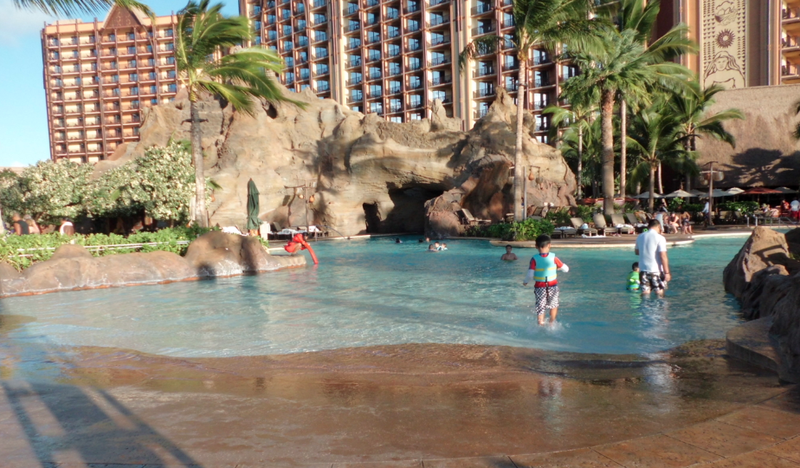 If HotelSwimmingPools.com gave out annual awards, Aulani Resort & Spa on Oahu would probably get “pool of year.” Opened in 2011 on the leeward coast of Oahu, about 40 minutes from Waikiki, the Aulani is Disney’s first resort away from an amusement park. If the kids can’t vacation at the amusement park, might as well bring the amusement park to the vacation, right? 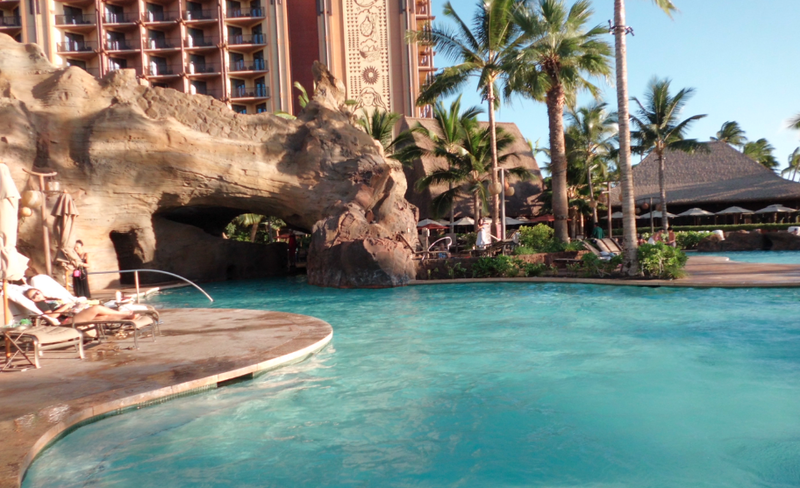 It’s as if the Disney imagineers sat down and brainstormed “Hawaiian resort,” and then made sure to include every single impression they came up with, somewhere at the hotel, spa, or in the immense pool area. During our December 2012, mutli-generational, multi-family visit, the Adults-Only pool and the Makai Preserve (sting ray exhibit) were both closed, but there was still plenty of pool to go around. Word is there will be more pool and more resort once renovations are complete. On our 3-day-stay, there was more than enough for the kids (and the grown-ups) to do. There is a large main pool, closest to the beach, with a gradual entry and plenty of room for poolside activities. Here’s where entertainment, contests, pool games and other hosted events take place. The “Daily Iwa,” slipped under guests door every morning let’s them know the daily schedule. This is the pool where the oldest members of our group chose to find lounge chairs and generous cocktail servers to plank themselves alongside and wile away the afternoon. 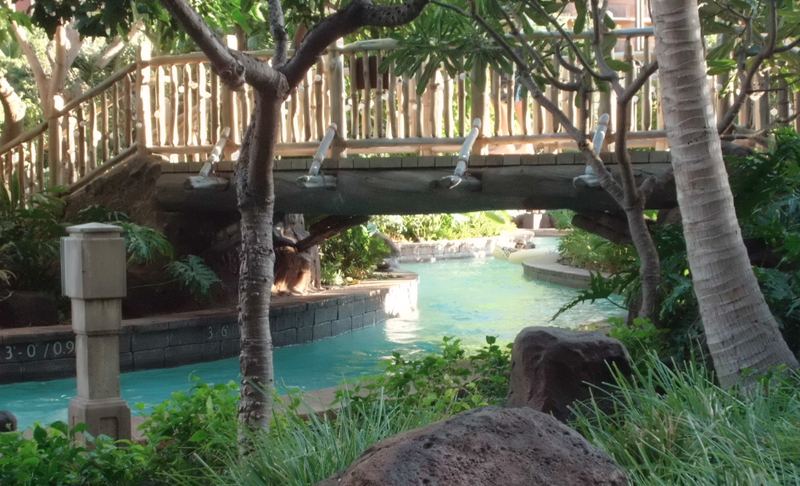 The lazy river is probably the longest one we’ve seen, though it may also have been the slowest. 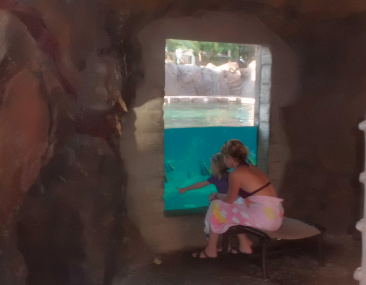 Even the littlest of visitors can grab a tube and go for a current-guided tour of the pool area: under bridges, through rocky twists and turns, under caves. 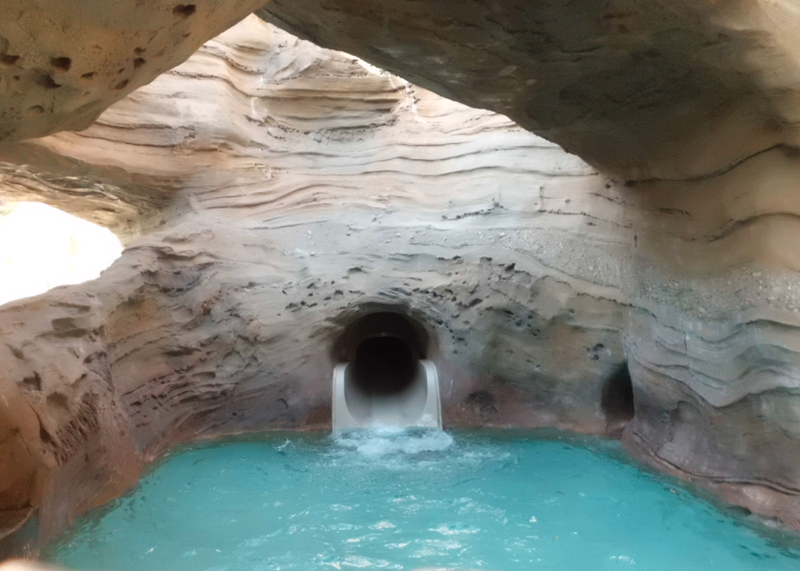 There’s also a regular waterslide that you go down on tubes (in singles or doubles). 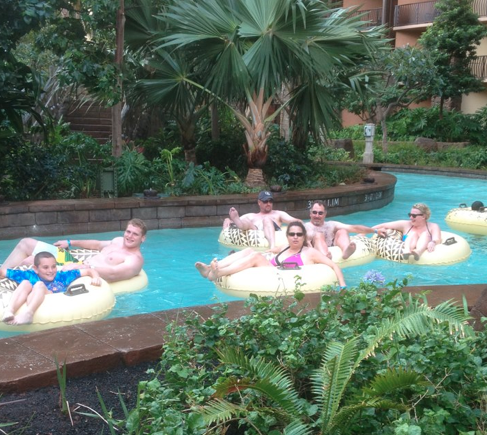 They’re the same tubes used in the lazy river so you can start your journey at the top of the slide and then take a coast around the property without leaving the comfort of your float. Kid-style decadence, right? 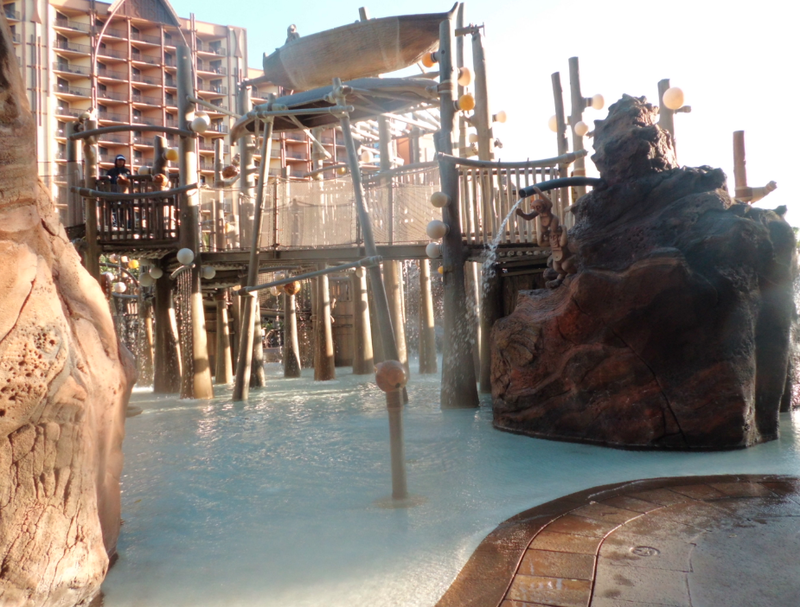 There’s an Aquatic Playground for kids under 48 inches. It’s got several levels and tons of different ways to soak your little sister silly. 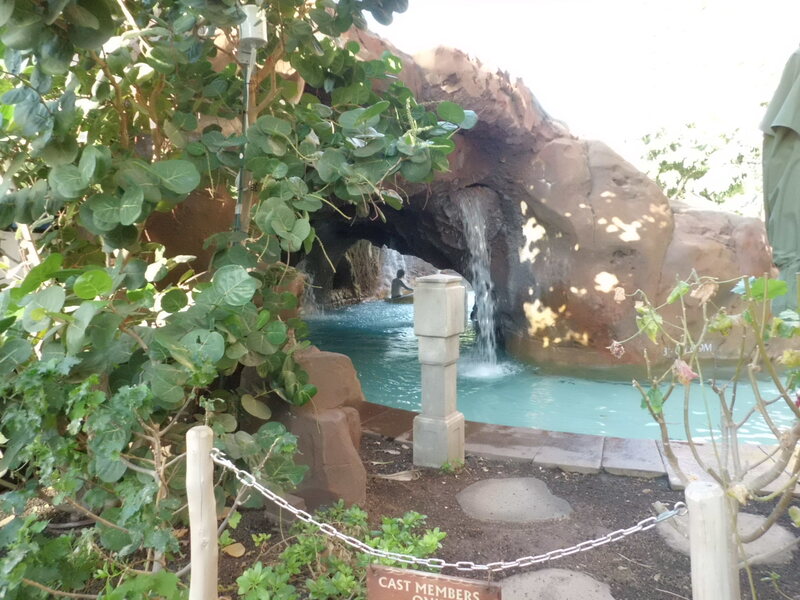 Another cool activity is the Menehune Adventure Trail. 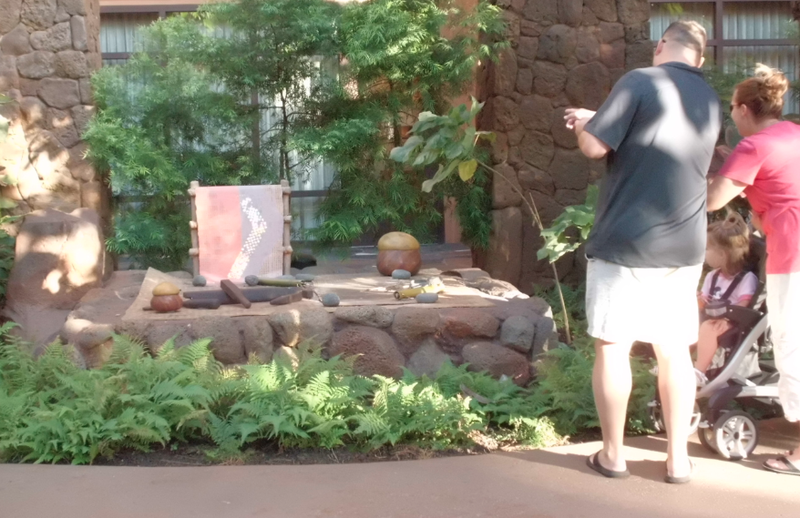 There are Hawaiin elves or “menehune” hidden throughout the resort. We spent much time looking for them as we waited for the elevator, walked throughout the property, had our meals. But it gets even better than just seeking them out, hidden-Mickey-style. Kids can also check out a tablet game console (like an iPad) and follow a unique interactive experience in search of specific hidden creatures. There are places in the resort where, if you are playing the game and following directions on screen, surprises unfold before your eyes. It can be pretty magical when rocks move and screens you didn’t know were there suddenly illuminate. Lots of oohs and aaahs from kids and parents. 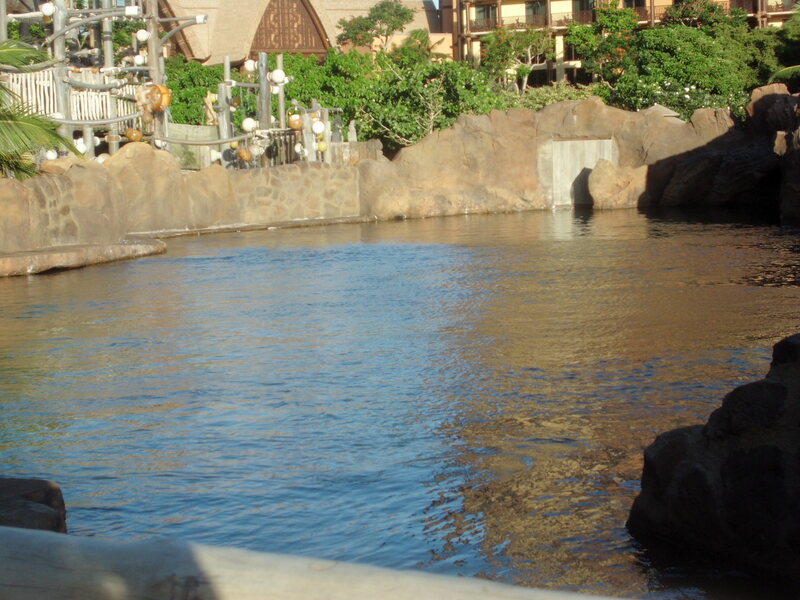 Even though all Hawaiian beaches are public and anyone in the Ko Olina area can wander in off the beach into the Aulani pool, don’t even think about sneaking in a swim. 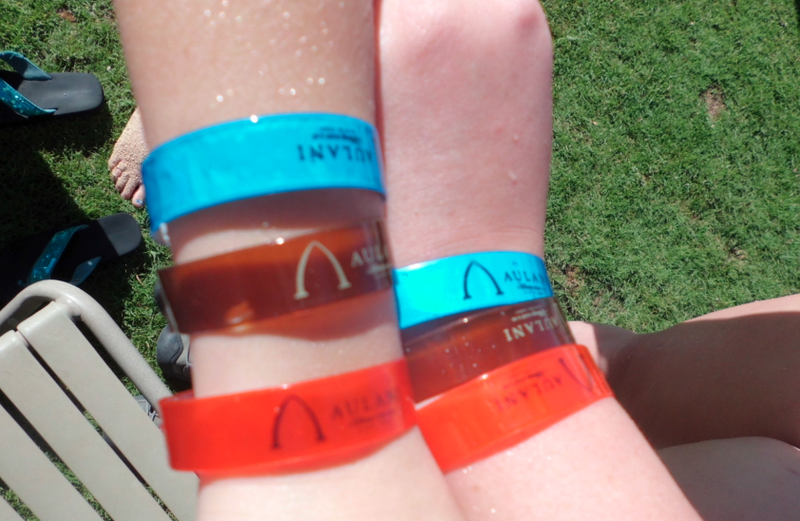 Each day all guests must get a new wristband, which the lifeguards check before you go down the water slide, enjoy the lazy river, or even order a drink. The whirlpool/hot tubs are at the edge of the property, facing the sea. They’re cantilevered, with a few levels stepping down, giving the maximum number of guests a view of the beautiful lagoon. One of my best memories of our visit was hanging out in the hot tub with the kids and their cousins, laughing and talking, catching up with each other, while the sun slowly dipped into the sea. Hawaiian magic with just a touch of Disney. 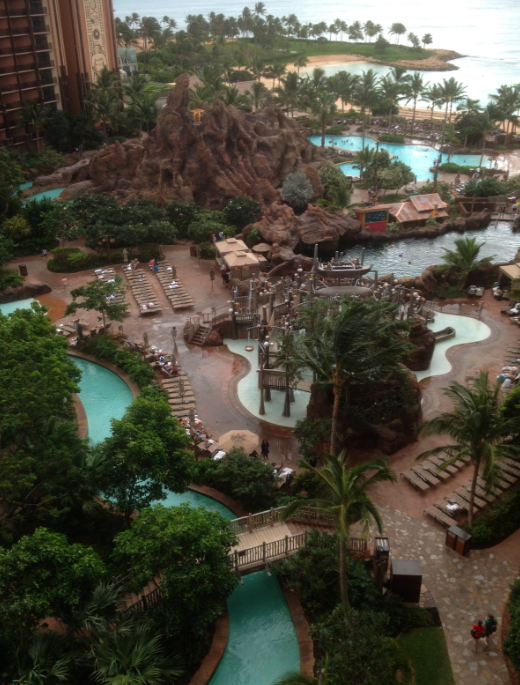 For more Hawaii pool reviews click here, and for more Disney pools, check this out.